Remember the days when it could take hours to download and share large files, such as photos and multipage reports?  What was once a common annoyance is now enough to make your heart skip a beat. The modern-day ability to exchange information instantly has made workflows more efficient than ever, but this need for speed has drawbacks, too. With dozens of PDF documents, images, and other files exchanged every day, the fear of losing information, compromising it, or simply running out of space to store it all is enough to conjure sweat-inducing nightmares. It’s a problem that has led developers to build thriving software platforms, which now store, process, and share thousands of files each day, from photos to spreadsheets. Two popular programs that stand out are Box and Dropbox, which were created by then-twentysomething entrepreneurs in 2005 and 2008, respectively. In the years since, other companies have either created similar, standalone file-hosting and -sharing programs or integrated these services into existing platforms. Box and Dropbox, however, have survived the test of time. Box has made a concerted effort to create products and features that specifically cater to larger businesses, organizations, teams, and companies. The company, however, does offer freemium individual plans. Dropbox, meanwhile, has focused on consumer — rather than commercial — uses but rolled out Dropbox Business in 2013 to court businesses, companies, and other organizations. Businesses of all sizes can benefit from the unique features and products that Dropbox and Box bring to the table. We’ll break it down so you can decide which software service is a better fit for you. Box may be more well known — and marketed — as a file-storing and -sharing solution for businesses, but in its early years, the company had a completely different focus. “We had this sort of view in our head, which was, we are a consumer company,” Box CEO and Cofounder Aaron Levie said in a Harvard Business Review podcast. The reshift in focus was spurred, at least in part, by “the economics of the consumer market” and a possible opportunity as consumers began using Box, rather than traditional business software, at work. The strategic move has paid off for Box, which went public in 2015. The company now has integrations with more than 1,400 software programs, including Google Suite, Salesforce, and Adobe Sign. As a largely enterprise-focused company, Box goes to great lengths to prioritize the safety and security of files stored on its servers. Box KeySafe, for instance, allows you to encrypt files with your key and access an immutable log that details all actions. But you can still use Box’s cloud-based collaboration services, including viewing and accessing files on mobile devices. 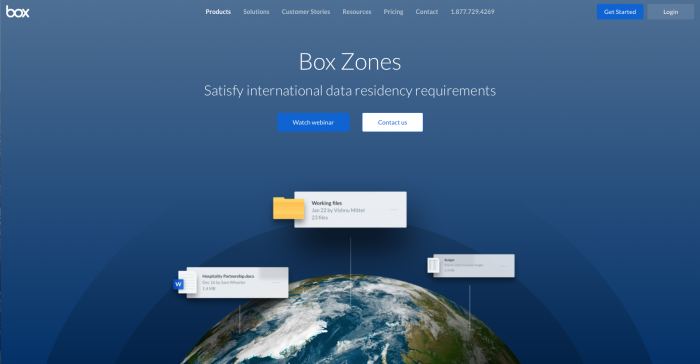 Box Zones is particularly helpful if you have international clients based in countries with varying security or privacy requirements — GDPR (General Data Protection Regulation) for all European Union states is a good example. This feature allows you to comply with those requirements by storing files with Box’s data center partners in Europe, Asia, Canada, or Australia. Companies can take Box’s services to another level by hiring the platform’s experts and specialists to improve existing processes, integrate Box into current workflows, and develop plans to gradually scale up. This service, called Box Consulting, is for complex technical integrations or onboarding initiatives. Once the platform has been rolled out, another team of experts can work with enterprise customers to develop customized transformational initiatives using Box’s services. 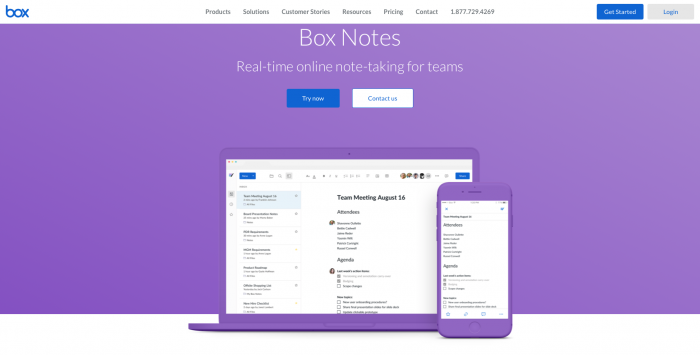 Box Notes is the platform’s answer to other note-taking apps on the market, such as Evernote, Google Keep, Microsoft OneNote, and Simplenote. 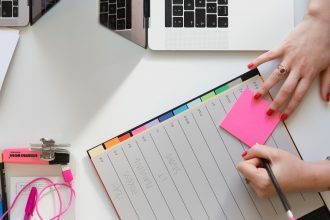 With Box Notes, you can jot down notes, make to-do lists, manage deadlines, share files, and view comments from collaborators that are made in real time within the Box platform. Box has created an open framework, called Box Skills, which — with the help of some coding skills — can send an uploaded file to an API management platform, such as IBM Watson, Microsoft Azure, Google Cloud Platform, and Amazon Web Services. Box Skills then gleans information from machine learning algorithms deployed in the API service and writes it back to Box metadata. This, in turn, can improve workflows and rethink how stored file data is used, processed, or consumed. For example, AI algorithms can be used to analyze photo content and add relevant tags automatically once a photo is uploaded to Box. This effectively cuts out hours of manual labor. 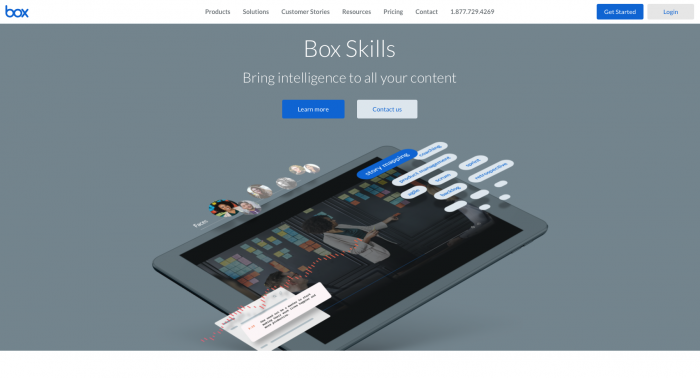 There’s no doubt that Box Skills provides added functionality to the platform. Box Skills relies on third-party APIs to analyze and process file data so it can carry out certain functions. This is a common practice because it can cost less than developing proprietary software, give customers the flexibility to customize features based on their needs, and lean on innovative technology that has already been developed. These are great benefits, but there are also some drawbacks, particularly if you don’t have software development skills or the resources available to deploy Box Skills. Leveraging technology developed by third-party API services can also be problematic if issues arise and cannot be resolved by Box directly. The limitations on Box’s plans and the features offered in each one, particularly for individual users or smaller businesses, are more restrictive than those offered by competitors. Those differences are less pronounced for Box’s business, business plus, and enterprise plans, which have no data storage limits. If you’re giving Box a test run for the first time, you won’t be able to access many of its features with a free, personal plan. 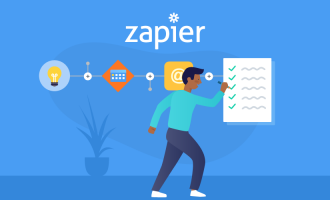 As an alternative, you can sign up for a 14-day free trial of most Box business plans — this will give you access to most of the platform’s features, including two-factor authentication, version history, and Box KeySafe, depending on which plan you opt to try. Box’s free plan includes 10 gigabytes of storage and a 250-megabyte limit for uploaded files. A paid Individual Pro Plan at $10 per month bumps those benefits up to 100 gigabytes of storage and a 5-gigabyte limit for uploaded files. Box’s cheapest business plan is offered at $5/month per user, for at least three people but no more than 10. It includes 100 gigabytes of storage, a 2-gigabyte limit for uploaded files, two-factor authentication, version history, and file encryption, among other features. The three other Box business plans start at $15/month per user and offer customers unlimited file storage, no limit on the number of users, and custom branding, just to name a few. Dropbox may not have been the only file-hosting and -sharing company when it first appeared in 2007, but its scrappy efforts to disrupt an emerging market have paid dividends. 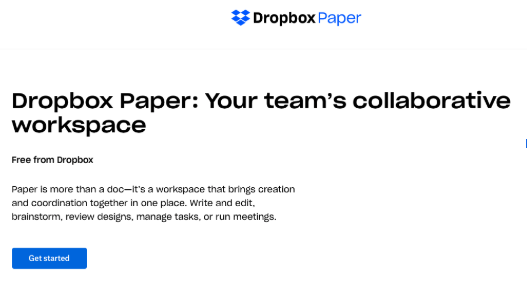 This problem-solving approach has prompted Dropbox to develop some standout features, including its mobile document scanner and Dropbox Paper — an answer to Google Drive and Microsoft Office. “We want to get to a place where any group of people in the world — in any country and any company — using whatever technology they want can work together without problems,” Dropbox Cofounder Drew Houston said at TechCrunch Disrupt in 2015. Dropbox has integrations with more than 300,000 apps, including Zoom, Slack, and Trello. Dropbox has developed some unique solutions that aim to break down and integrate siloed work processes. Dropbox Paper, for instance, allows you to assign stored files to people, add notes, set due dates, or attach files to calendar events. 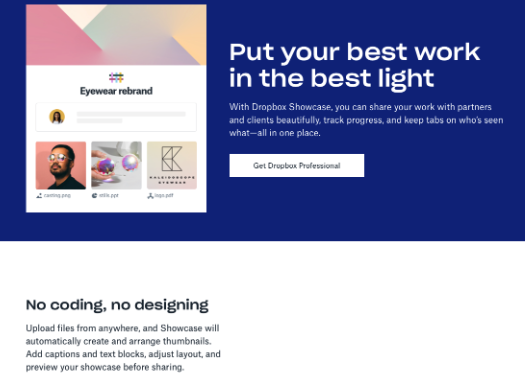 Another innovative feature, Dropbox Showcase, seeks to reenvision the way business teams present, pitch, and share ideas by using a visual platform that can include a number of uploaded files, such as photos, videos, or illustrations. Once these files are arranged in a presentation board-like fashion, you can track who views, downloads, and comments on the shared product. Dropbox and many other file-hosting and -sharing companies use similar security tools to protect confidential or sensitive information in stored files, including two-factor authentication and sharing controls. These service providers must also comply with regional or country-specific regulations on data privacy, including GDPR. Both Dropbox and Box have all of these safeguards in place, but Dropbox has an added security feature that’s handy when you’re in a bind. If a device with access to Dropbox is lost or stolen, a remote wipe option can remove all of the files and folders from the device’s Dropbox account. The information, however, is backed up and can still be accessed on all other devices. Dropbox has made some strides in the emerging AI field. The platform, for instance, has developed a mobile document scanner that uses computer vision and deep learning to recognize text on a piece of paper. This allows people to save a physical document as a PDF file and search for English text later within indexed PDF and image files. This in-house strategy allows Dropbox to effectively control the quality, functionality, and scope of the features that it develops. Having complete control of a feature also allows Dropbox to troubleshoot and resolve issues quickly, rather than waiting for a third party to intercede. In the case of Dropbox’s mobile document scanner, it was apparently cheaper to develop an in-house solution rather than lean on a third-party service. Dropbox has developed some innovative in-house solutions that can compete with those created by third-party API services, such as Google Cloud and Microsoft Azure. But here’s the rub: Leveraging the technology of third-party APIs could result in more customized features. Dropbox developed the mobile document scanner as a targeted solution, but that may not meet the needs of customers who want other features based on their specific circumstances or uses. Some businesses may want to work with Dropbox experts directly to deploy the platform across teams, but at this point that’s not possible. As part of its current consultation program for enterprise customers, Dropbox works with Nitor and MaaXcloud to help customers migrate data from other sources; set up security and collaboration settings; and conduct platform training sessions. 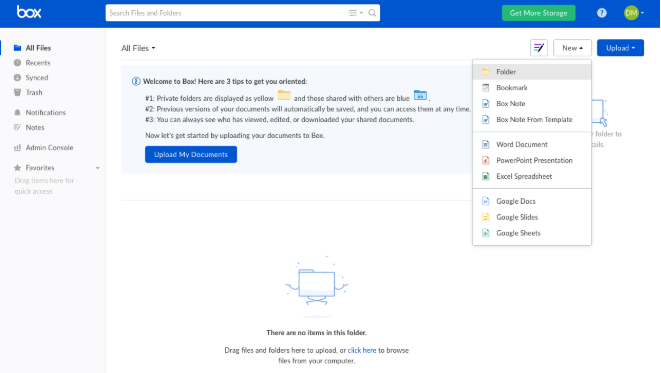 Dropbox’s free Basic plan includes 2 gigabytes of file storage, access to Dropbox Paper, and the ability to create shared folders, scan documents, or view access history, among other things. Additional or enhanced features, such as remote device wipe, are available for individual users who buy an $8.25/month Plus plan or $16.58/month Professional plan. Dropbox’s cheapest business plan starts at $12.50/month per user — with at least three users — for 3 TB (3,072 GB) of storage, 120 days of file recovery, and a Microsoft Office 365 integration, among other things. 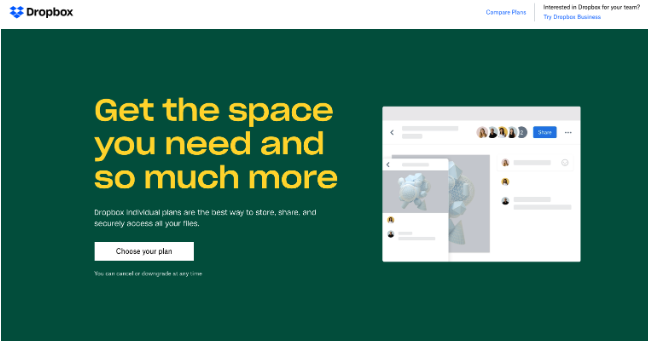 The three other Dropbox business plans start at $20/month per user and offer customers unlimited file storage, Dropbox Showcase, and enhanced administrative controls. 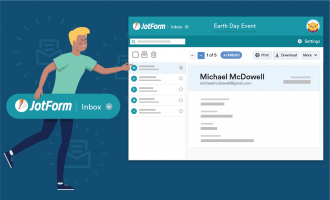 Regardless of which file-storing or -sharing service you decide to use, JotForm’s Box and Dropbox integrations allow you to share files and submitted form information with either platform. The best part is that these integrations are free for all JotForm users. 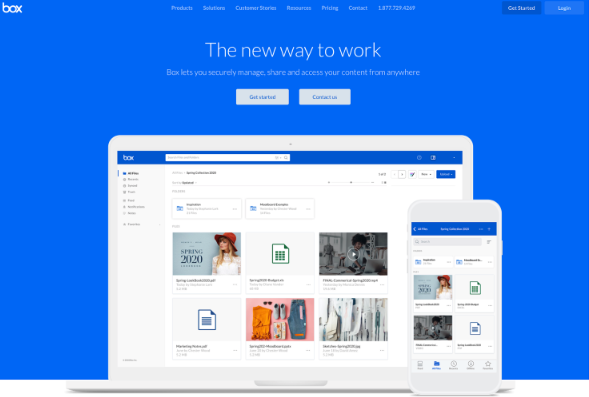 In lockstep with JotForm’s mission to integrate siloed processes into a single platform, Box and Dropbox have changed the way people think about storing files. Rather than serving as a file repository, like items in a locked storage facility, Dropbox and Box give companies and teams of all sizes the ability to share, change, and work with stored data in real time. Determining which file storage app will work best for you will likely depend on your team’s unique needs, budget, circumstances, and security requirements. What file-storing and -sharing solutions have you used, and how have they improved your team’s workflow? We’d love to hear from you in the comments below!